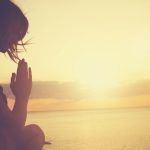 הבית התנ ך מי כתב את הבשורה של ג'ון? מי כתב את הבשורה של ג'ון? על ידי בייטס קלארק| With the release of his new book Jesus Before the Gospels: How the Earliest Christians Remembered, Changed and Invented Their Stories of the Savior, Bart Ehrman has attempted to revive the modern controversy of biblical authorship. This is not new ground for him, nor is it a new challenge in the world of textual criticism or popular debate. 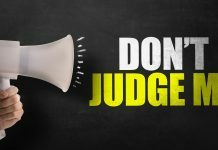 The truth of the matter is that determining the authors of various biblical texts can be difficult at times and all but impossible at others. For those books that proclaim or are attributed to a particular author, it falls to the careful reader to seek out means by which verification can be made. The New Testament books most frequently challenged regarding traditional authorship, are the Gospels (Matthew, Mark, Luke and John), The epistles of John (1, 2, and 3 John), The epistles of Peter (1 and 2 Peter), and various epistles of Paul (Ephesians, Colossians, 1 and 2 Thessalonians, 1 and 2 Timothy, Titus). 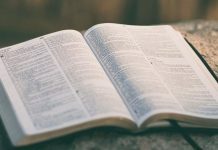 In the next few posts, under the same title, I’ll be looking at what we can know about the biblical authors and why we can know it, beginning with the Gospel according to John. 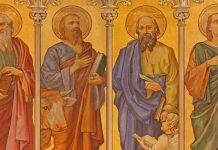 Before examining John’s gospel specifically, it would be helpful to mention how a reader can investigate biblical authorship and what methods are employed by textual critics to determine that very thing. Not being limited to the biblical text, all ancient writings are evaluated under similar programs. In seeking information, authorship in this case, evidence is sought from both within the text and without. Internal evidence can consist of the obvious, such as “This was written by. . .” or more ambiguous clues, such as time and place indicators or specific details surrounding the event recorded. External evidence is that which comes from outside the text but corroborates its message. In the case of authorship it can be the writings of contemporaries or those following after attributing the writing to a particular author. As it relates to the Gospel of John, we have both. Like the Synoptics, the Gospel attributed to John is formally anonymous. That is to say, the author never names himself in the way you might expect from the apostle Paul in many of his letters. That it is formally anonymous does not mean that authorship is impossible to identify with any degree of certainty, however. Now, to avoid appearing to be circular in argumentation, I will note that the 5thpoint really acts as the logical conclusion to the affirmation of the other four. Using this guideline, it is easily seen throughout the text that the author is Jewish. 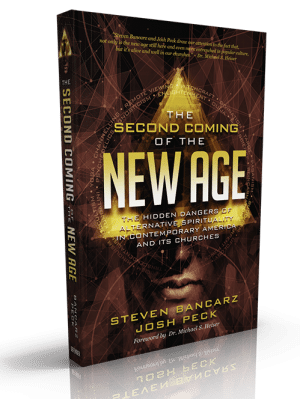 He has a clear understanding of Jewish customs, theology, and messianic expectations.2 The author has a clear understanding of Jewish festivals, regarding the law of the Sabbath (John 7:22) and the ceremonial pollution of Jews entering a Gentile court (18:28). Most tellingly is the account of the Jesus at the Feast of Tabernacles in John 7. These circumstances would be the practice of pouring water from the pool of Siloam onto the sacrificial altar, shedding light onto Jesus’ message of “living water” (7:38), the kindling of lamps to impact Jesus’ claim to be the “light of the world” (8:12), and the reference to the last day of the festival as “the great day” (7:37). While this assertion might be more difficult for the lay reader to establish, textual critics such as Westcott, Morris, Lightfoot, Carson, and others affirm that the writing style and vocabulary of the Fourth Gospel are inherently Jewish.4 The author’s repeated use of words and themes such as “light”, “darkness”, “flesh”, “spirit”, “life”, “the kingdom of God” and others are found throughout the writings of the Jewish Bible (the Old Testament). To quote Westcott once more, “The words are Greek words, but the spirit by which they live is Hebrew.”5 Only a brief overview of the internal evidence for these first two points is presented here, primarily because they are not widely disputed among scholars.6 This near unanimity has been bolstered by the discovery of the Dead Sea Scrolls and requires little defense. The dispute surrounding the remaining three points hinges upon the identity of the “disciple whom Jesus loved”, who is stated to be the author of this Gospel (21). This persona is first mentioned in John 13:23, reclining on Jesus during the Last Supper and mediating for Peter. 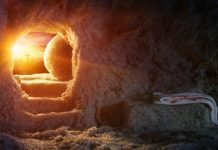 He is found at the cross and commissioned by the Lord to care for Mary, the Lord’s mother (19:26-27), and at the empty tomb alongside Peter (20:2-9). 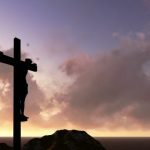 The author is one of the seven to go fishing in John 21, but is not Peter, Thomas or Nathaniel, suggesting that the author is one of the sons of Zebedee or one of the two unnamed disciples (21:2). 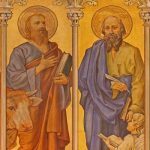 Neither the James the son of Zebedee nor John are mentioned within the Fourth Gospel, which should be of note, given the space provided for even relatively obscure apostles such as Philip and Judas (14:22). The repeated association of this unnamed apostle with Peter is synonymous with the relationship between John the apostle and Peter as seen in the Synoptic Gospels, Acts and the writing of Paul.11 What’s more, it should be noted that most of the important characters in the Fourth Gospel are designated with rather full names, i.e. Simon Peter, Thomas Didymus, Judas son of Simon Iscariot; Caiaphas the high priest that year, and so on. Yet, John the Baptist, is simply called “John” even when he was first introduced.12 While this final point is not conclusive in itself, the simplest explanation is that John the son of Zebedee authored the Fourth Gospel and felt no need to distinguish the other John from himself. 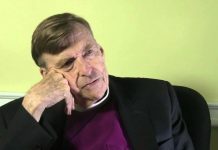 Having given a brief defense of the traditional authorship of the Fourth Gospel from the internal cues provided within the text, I will turn some attention to the traditional external evidence behind John’s authorship. 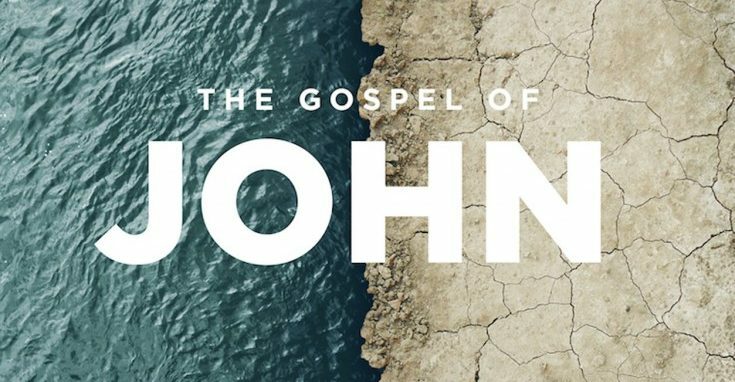 It’s normally assumed that the title “The Gospel According to John”, as well as the other Gospel titles, were not ascribed until A.D. 125. The first attribution of the Fourth Gospel to John is from Theophilus of Antioch (A.D. 181), but before this the Fourth Gospel was quoted as authoritative by Tatian, Athenagoras, Polycarp and Papias. Polycarp is known to be a successor and associate to the original twelve apostles, having been martyred in A.D. 156 at the age of 86. This same Polycarp had a student named Irenaeus who recorded much of his work. As a student of Polycarp who wrote of his discourses with the apostle John, there was no doubt for Irenaeus who authored the Fourth Gospel. He wrote, “John, the disciple of the Lord, who leaned back on his breast, published the Gospel while he was resident at Ephesus in Asia.”14 This certainty carried on into the second century by the church fathers Clement of Alexandria and Tertullian being maintained to the point that by the end of the second century few opposed the apostolic authorship. The author was clearly a Jew of Palestinian origin. 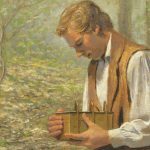 He was aware of information only available to one who had traveled with the Lord, and more so, information only available to one of the twelve. Each apostle is clearly identified throughout the Gospel with the exception of one, John. The tradition of the church leaders that followed the apostles also attributes the Fourth Gospel to John the Apostle and clearly held an authoritative role in the development of church theology; even so far as to be the centerpiece for the first harmony of the Gospels ever written, the Diatessaron. Such authority would not have been given to a book with dubious authorship then, nor should we doubt its authority today. It must be said that the authorship of Scripture is irrelevant to the message of Scripture. Even if there were no intelligible way to determine who wrote the New Testament (which is the case for the book of Hebrews), it would have no bearing on the quality or the truth of what is written. What authorship does for those who seek to know their Bible, is substantiate the origins of what we hold dear and observe the profound effect that Jesus had on their lives. 1) Westcott, Brooke Foss. 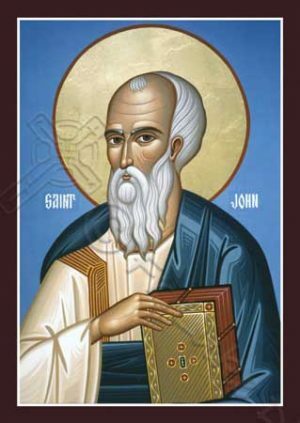 The Gospel According to St. John: The Greek Text with Introduction and Notes. Vol. 1. (John Murray, 1908), 10 – 51. 2) John 1:21; 4:25; 6:14-15; 7:40ff. ; 12:34. 4) Morris, L. The Gospel According to John, (Grand Rapids: Eerdmans, 1995); Westcott, Brooke Foss. 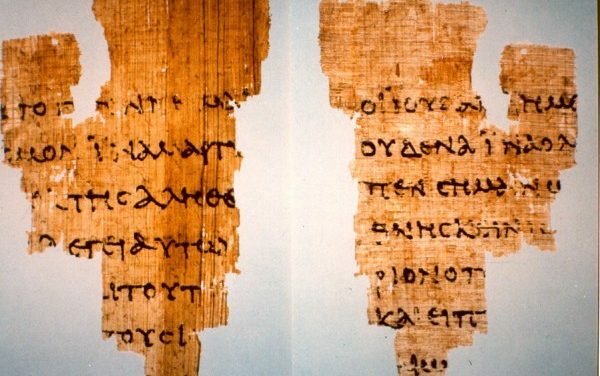 The Gospel According to St. John: The Greek Text with Introduction and Notes. Vol. 1. (John Murray, 1908). 6) With the exception of Margaret Pamment in her “Focus on the Fourth Gospel,” ExpT, 1994. 7) Only in John do we find the discourses of the Last Supper and the teaching that follows regarding the Holy Spirit and the Vine and Branches (John 13:31-16:33). Likewise, John contains information of the trial of Christ not found in the Synoptics (John 19:1- 11. 8) Carson, D.A. The Gospel According to John, (Grand Rapids: Eerdmans, 1991), 71. 9) The author is distinguished from Peter in John 13:23-24; 20:2-9; and 21:20. 10) Acts 12:1-2; during the reign of Herod Agrippa I, AD 41-44. 11) Mark 5:37; 9:2; 14:33; Acts 3:1-4:23; 8:15-25; Gal. 2:9. 12) Carson, John, 72. i.e. John 1:6 contra. Mark 1:4. 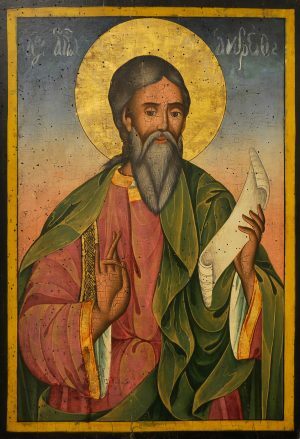 13) Justin Martyr, First Apology, 61.4-5. 14) Irenaeus, Against Heresies, iii. 1.2. מאמר זה פורסם במקור ב- exejesus and was republished with permission. נהנה מאמר זה? לקחת רגע כדי לפרנס אותנו על Patreon! במאמר הקודםמי כתב את הבשורה של לוק & מעשים? הדוקטרינה הקטלנית של "אל תשפטי אותי"
סיבות ישו הוא אתר מבוסס אפולוגטיקה מחויבת לספק הצדקה תפיסת עולם התנ ך, הגנה רציונאלי לאמונה בישוע המשיח. באתר זה אנו מחפשים-תשובות לשאלות, תגובות, התנגדויות, והסיבות חיובי עבור הסיבה שישוע הוא בדיוק מי שהוא טען שהוא: בנו של אלוהים, רק אמצעים הישועה.